Cravings are a natural part of life, primarily influenced by the feel-good sensation you have after you’ve consumed the coveted item to your heart’s content (or your stomach’s). But let me ask you a question: has your craving ever turned into an obsession – like Gollum’s my-precious-one-ring obsession? Just say it out loud; you know you want to! My fixation doesn’t end with having this dish over and over again. I have to recreate it within the confines of my own kitchen with the ingredients that I happen to own so that I can have it whenever and wherever – no strings attached. 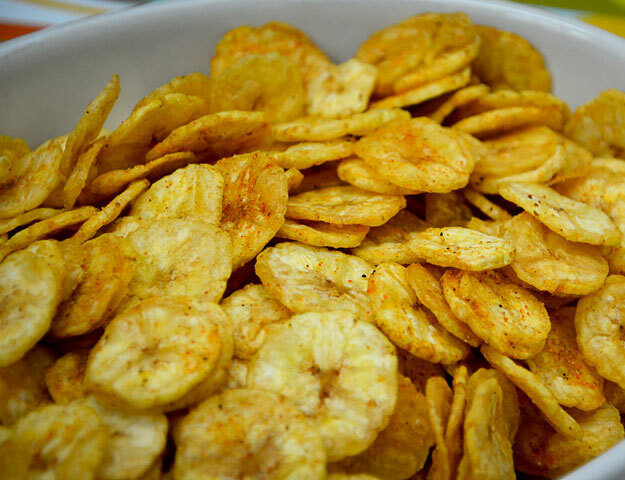 Spicy Banana Chips are the latest addition to the list. 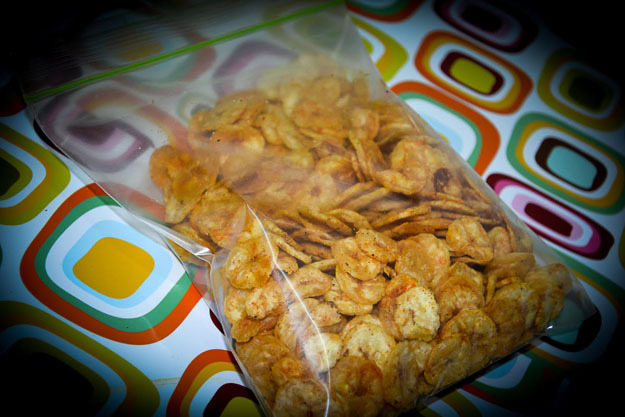 Ever since I first tried this snack in 2007, I’ve been head-over-heels in love with them. Originally from India (Kerala, to be precise), these delightfully crispy chips are a perfect mid-afternoon snack to help during those hunger pangs. The traditional Indian spicy chips are fried in coconut oil, topped with salt, pepper, and powdered curry leaves. I did find a tastier version more suited to my Karachiite palate at a bakery but the bakery doesn’t have them anymore; ergo, the obsession. I decided to give the recipe a try at home and luckily, got it right the very first time. Having said that, it wasn’t until the third try that I finally got a version tastier than any banana-chip variation I had ever tried before. So before you drool all over your favourite T-shirt, let me dive straight into the recipe. 2. Prepare a water and turmeric solution and soak the peeled bananas in it for 5 minutes; peeling raw bananas can be a bit tricky so here’s a video that shows you how to do it. Now don’t just sit there and watch — Go get some raw bananas and get slicing!